20 November 2017, Paris. 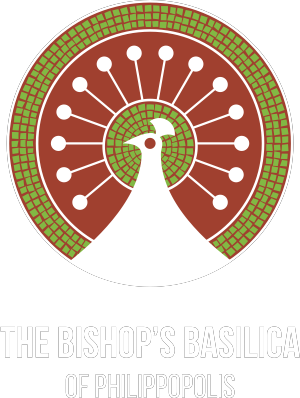 America for Bulgaria Foundation (ABF) is pleased to announce the opening of the exhibit “Bulgaria Presents: The Bishop’s Basilica and the Roman Mosaic Heritage of Philippopolis” at the UNESCO Headquarters in Paris on November 20, 2017. The exhibit is organized by America for Bulgaria Foundation with the support of the Permanent Mission of the Republic of Bulgaria to UNESCO, the Bulgarian Ministries of Culture and Tourism and Plovdiv Municipality and can be viewed until November 27. The exhibition features 25 photographs and information panels which show the splendor of the mosaics from the Late Antiquity found in three of the most spectacular monuments in Philippopolis, today’s Plovdiv – the Small Basilica, the Bishop’s Basilica and the Eirene Building. This exhibit marks the beginning of Bulgaria’s application for UNESCO designation for the serial property – “The Bishop`s Basilica and Late Antique Mosaics of Philippopolis, Roman Province of Thrace.” The team working on Bulgaria’s application includes archeologists, restorers, architects and consultants from the Ministry of Culture and the National Institute of Immovable Cultural Heritage with the financial and organizational support of America for Bulgaria Foundation. After the success of the Small Basilica, which opened its doors in 2013 thanks to the 1.3 million leva investment by ABF, the Foundation is now supporting the excavation, restoration and socialization of the Bishop’s Basilica with 8.2 million leva and the country’s UNESCO application. The Bishop’s Basilica is the largest Early Christian temple found in the lands of the Roman province of Thrace. Little from the remarkable architecture of the three-nave basilica with an apse, a narthex, and a colonnaded atrium has survived through centuries. But the preserved multi-color mosaics found in two layers with a total area of 2,000 sq. m., make the Basilica a first-class cultural heritage monument. “This project advances with the serious efforts and the tireless work of many people, organizations and institutions. Thanks to their dedication and good partnership, I believe that an important part of this unique Bulgarian cultural heritage will be displayed to the world in its full splendor,” said the Bulgarian Deputy Minister of Culture, Amelia Gesheva, at the exhibition opening.